When surgery is the best or only option to successfully treat a sports related injury, like an ACL or rotator cuff tear, or for the joint degeneration that can result from osteoarthritis, platelet rich plasma therapy used in conjunction with surgery can help to accelerate the healing process. How Does Platelet Rich Plasma Therapy (PRP) Help With Surgery? Platelet rich plasma contains concentrated growth factors that can help to accelerate the healing process in damaged tissue and joints. When used in combination with surgery, PRP can potentially aid in the recovery process, helping to speed up rehabilitation and improve function, all with a sample of the patient’s own blood. While PRP therapy can be useful in helping patients undergoing surgery, anyone suffering from chronic joint pain or difficult to heal injuries can potentially benefit from PRP treatments with or without surgery. Many professional athletes and high performing individuals also undergo platelet rich plasma therapy to avoid permanent damage from chronic injuries, as well as in cases where surgery might not be an option. 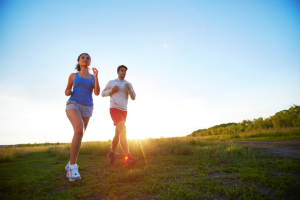 Whether you are a professional athlete, or a weekend warrior in need of a little help recovering from the last marathon or triathlon (or preparing for the next one), PRP therapy and regenerative medicine may be the solution to help you recover and feel your best. To learn more about platelet rich plasma therapy in Los Angeles and whether you are a candidate, contact Meier Orthopedic Sports and Regenerative Medicine today at 310-736-2793 to request a consultation.